Travellers looking to explore the natural wonders of a destination to create romantic moments, must visit the glittering coastlines of Thailand and Dubai for some amazing beach visits, island hopping and dining. 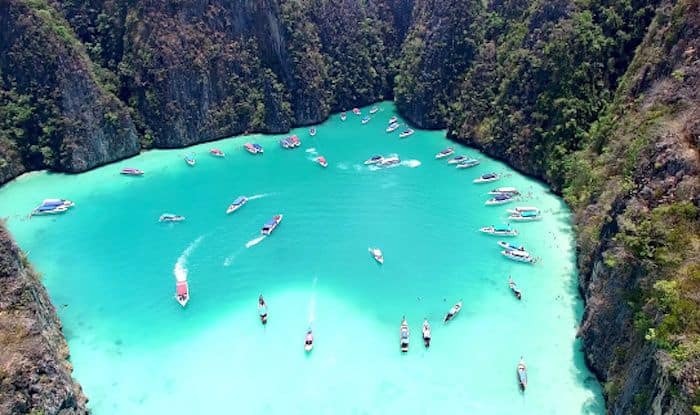 If in Thailand, travellers should consider heading to the famous islands such as the James Bond Island and Phi Phi and Khai Islands to take beautiful snaps or go for a-dip at Naka Island. Looking for a romantic setting instead? Travellers can find a romantic getaway in Dubai and enjoy the Evening Desert Safari with BBQ Dinner or have a newly-wed dining affair at Dhow Cruise along with live entertainment. Travelling to a destination with family or kids can be an enriching moment of shared experiences. Not without challenges, multi-generational travel is a goal for families to stay together at places. Dubai offers some amazing theme parks, which include world ranked rides or record breaking sizes. For example the IMG World Of Adventure is the largest indoor theme park on the planet and Ski Dubai that broke records having 3000 square meters of snow. In Singapore, travellers can find Sentosa, SEA Aquarium or Universal Studios Singapore for fun filled activities that will complete your family vacay goals. If you want to revive childhood memories with your favourite superheroes and cartoons, then head to Thailand, for an first-hand experience at the Marvel experience or to the world’s first Cartoon Network-themed water park, Cartoon Network Amazone. A travel junkie needs his dose of adventure sometimes. Dubai offers some exciting activities for the adventurous souls. Kayaking experience and other water activities such as Sea Safari in Dibba Musandam, Snorkelling, Scuba Diving, a Jetovator Experience are some, to name a few. People seeking a jump in their adrenaline level can consider Singapore where they can enjoy an array of experiences such The Giant Swing in Sentosa, The Bungy Jump and the Megazip.